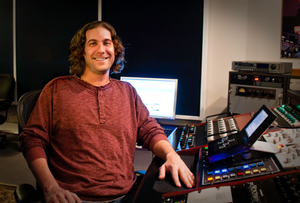 Andrew Mendelson is the owner and Grammy Nominated Chief Mastering Engineer of Georgetown Masters in Nashville, Tennessee. Following a three-year stint at the highly regarded Telarc Records, Mendelson moved to Nashville to apprentice under Georgetown’s storied co-founder Denny Purcell. Andrew took over as Chief Engineer in 2002 and eventually acquired the company in 2004. Andrew’s clientele is as diverse as it is impressive. He has mastered numerous #1, Grammy winning, and gold and platinum projects by artists including: The Rolling Stones, The White Stripes, Kings of Leon, Mariah Carey, Elton John, Kenny Chesney, Eric Church, Little Big Town, Keith Urban, Lady Antebellum, Casting Crowns, Ricky Skaggs and Willie Nelson. In addition to his traditional mastering work for CD and digital download release, Andrew works extensively on stereo and surround sound projects for DVD, Blu-Ray and Broadcast.